2 Bedroom Detached Bungalow For Sale in St. Ives for Guide Price £350,000. 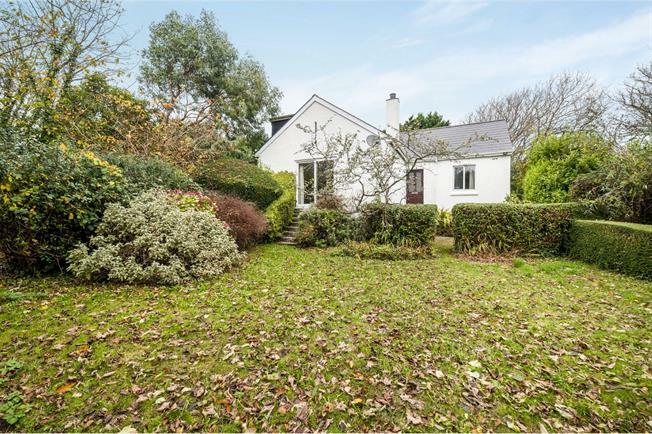 This two bedroom bungalow in need of modernisation offers spacious accommodation set on an exceptionally large plot. The property offers a massive amount of potential to either make changes to the current property or with the relevant consent build a new property. The gardens to this property are vast and back onto open fields, it is an extremely quiet and peaceful location. There is also parking for several cars and a single garage. A part glazed entrance door leads into the entrance hallway with parkay flooring and access up into the loft room, living room, the two bedrooms, family bathroom and the kitchen. A generous kitchen/diner, with a range of wall and base units, two single stainless steel sinks, an induction hob and parkay flooring. A further door leads into the utility room. A useful utility room with tiled flooring and a stable door leading out into the rear garden. A fully tiled family bathroom, with panel bath with shower over, a pedestal wash hand basin and w/c. There is a frosted window to the rear and a airing cupboard. A double bedroom with Parkay flooring and a double glazed window over looking the rear garden. A large double bedroom with Parkay flooring and a double glazed window to the side overlooking the garden. A generous living room with carpeted flooring, a feature fire place and patio doors leading out into the front garden. Off the living room is doors leading into the sunroom. A sunroom overlooking the side garden. Please note that the sunroom is in need of some TLC.